I was listening to a program a couple of weeks ago that featured a speaker that was talking about how narcissistic our world has become. 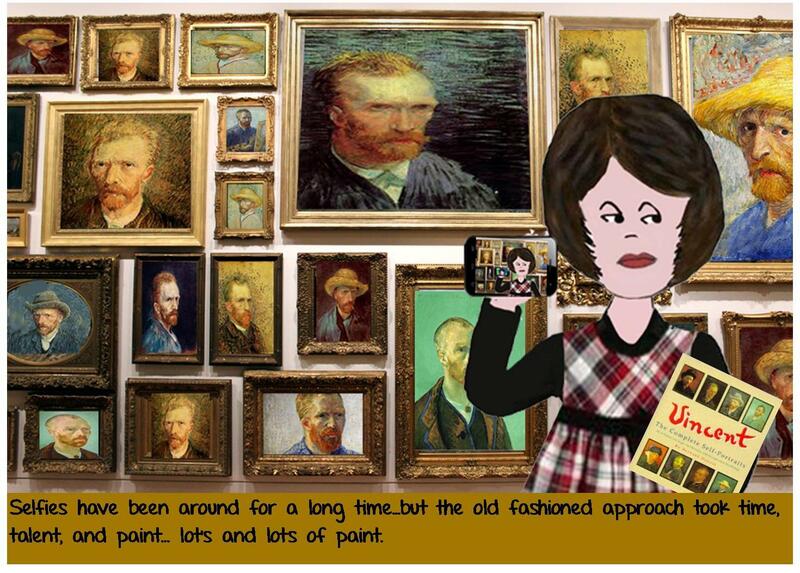 In support of her theory, she cited some statistics about the rise in selfie related injuries and deaths. Huh? People are dying and it is somehow related to taking pictures of oneself? 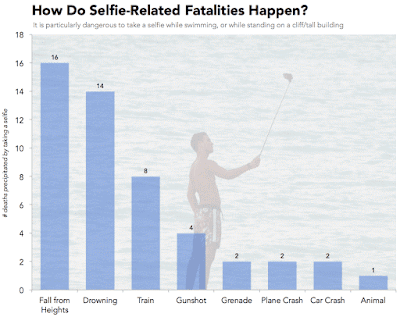 Yes, would seem that death by selfie is a thing. Prior to that program, I wasn't aware of this growing problem. 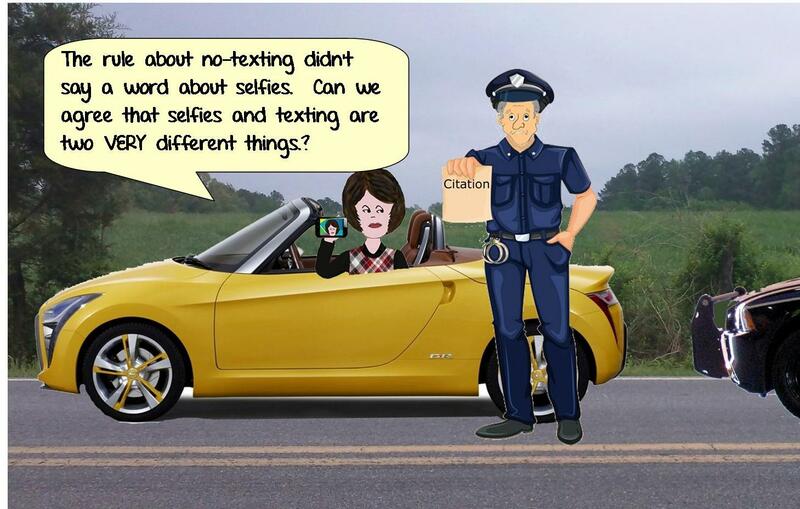 I knew there was death by texting as most states have outlawed texting and driving for obvious reasons. BUT...the fact that people are dying of selfie inflicted wounds, had me curious. Now for those of you that are a tad squeamish about death in general, you at least have to entertain some curiosity how people have managed to start a whole new genre of dying. 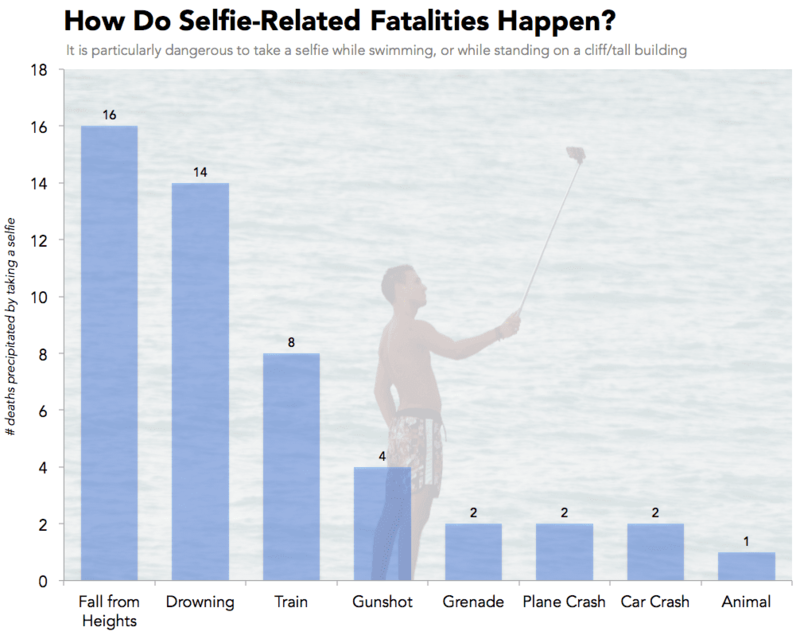 It turns out that in September of last year, Mashable had an article stating that more people were killed in 2015 related to selfies than deaths that were related to shark attacks. The score was actually 12 for selfies and 8 for the sharks. Not that I am trying to be insensitive but basically, with all the possible ways someone can die, selfie death probably doesn't elicit quite the same reaction as other types of death. I, for one, hope not to leave my relatives with the burden of having to tell people that the cause of my death was directly connected to a status update on Facebook. So...to arm myself with the knowledge of HOW NOT TO DIE while using my iPhone, I have done a little research. Click here to see the Wikipedia list of all related selfie deaths. Just on the outside chance, Mashable had it wrong, I looked to Snopes to make sure this wasn't some type of hoax. NOPE, not a hoax, per se, but they did point out a couple of key points. The Snopes organization said they could verify the 8 shark attacks but they had a bit of a problem blaming all the reported injuries and deaths related to selfies because it's not like the smart phones actually killed anyone. 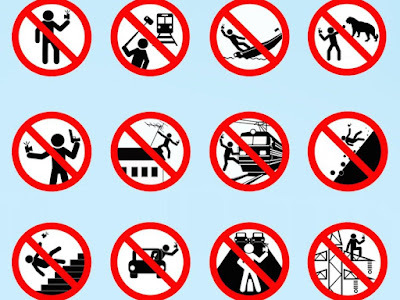 Not one iPhone, Samsung Galaxy or Droid Turbo could be held directly responsible for shoving someone off a cliff or in front of a train. 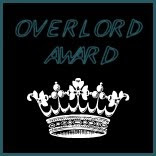 It was the people using the smart phones that had a lapse in judgment. The lapse was evidently the time it took to put themselves in a really dangerous situation and the time to snap the camera button on their cell phone. In the Snopes article, they concurred with the World Health Organization (WHO) that explained that if someone falls and hits their head on the floor and dies, you wouldn't say the floor killed that person. WHO maintains that the cause of death in the cases of selfie taking was being hit by a vehicle, or falling off a cliff or shooting one's self in the face, or pulling the plug out of a grenade or whatever their momentary flash of brilliance had them doing at the time of their demise....but with the added bonus of snapping off one last picture. 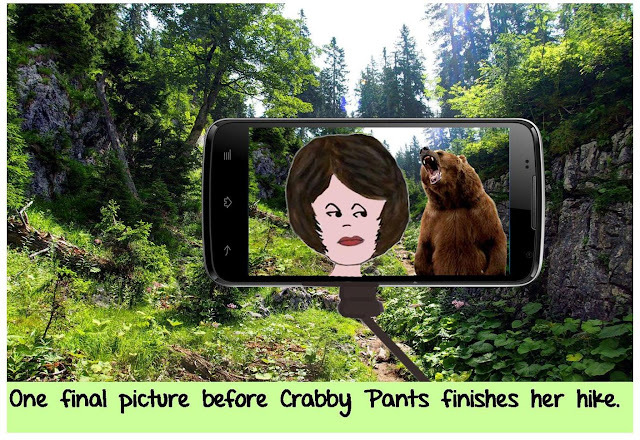 Yes, one last piece of digital documentation, to share the with their followers on what not to do with a cell phone. 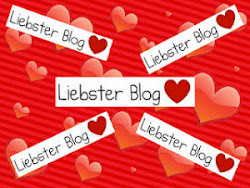 So, I ask you, my dear blog reading friends, What is the take-away here? It's not Smartphones that kill people, it's people with Smartphones that kill people." Moving on...another interesting point in this problem of deaths related to selfies, is that for a change, America isn't the leader. In both India and Russia this is a much greater problem. In India, they have counted 27 world wide deaths last year linked to selfie taking instead of the other sources that claim 12 but...whatever the number is... the Indian government stated that half of those happened in India. 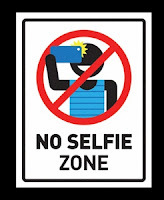 In response to that, they have created "no selfie zones". 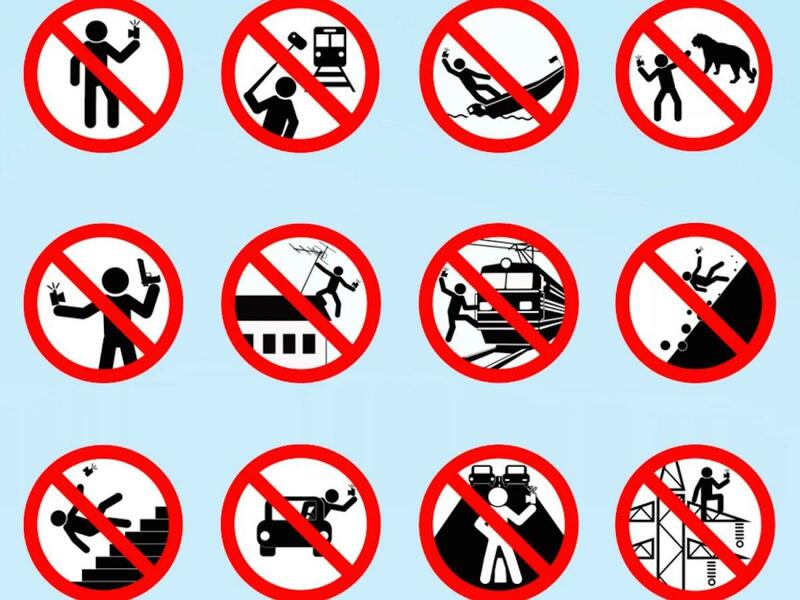 Like wise, Russian interior ministry has distributed an illustrated booklet to warn people of dangerous scenarios involved in taking such pictures as part of its Safe Selfie campaign. 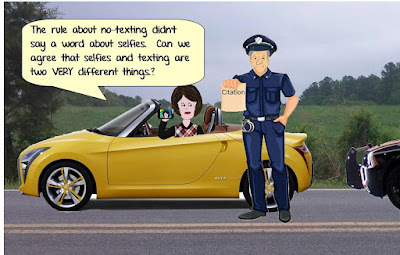 They are distributing mass nuggets of wisdom such as not taking a selfie with a gun or posing on peaks of mountains, or on main roads or with dangerous animals. One should just say "nyet" to putting themselves in unsafe selfie conditions. Russian brochure pointing out ways to be stupid. An aide to the interior minister,Yelena Alexeyeva, said: 'Unfortunately we have noted recently that the number of accidents caused by lovers of self-photography is constantly increasing. NOTE: She went on to say, that no amount of "likes" is worth taking a chance with your life. I think maybe she shouldn't of added that part if she really want to sell this idea to young people. So...here is a final thought... even those of us that LOVE our phones, should set them down sporadically and actually look around. Just maybe, there are things worth seeing. 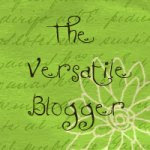 Perhaps, we should worry a little less about "sharing" our moments and a little more about appreciating our moments. Crabby Pants just can't resist taking a selfie in front of the Van Gogh self portrait gallery.